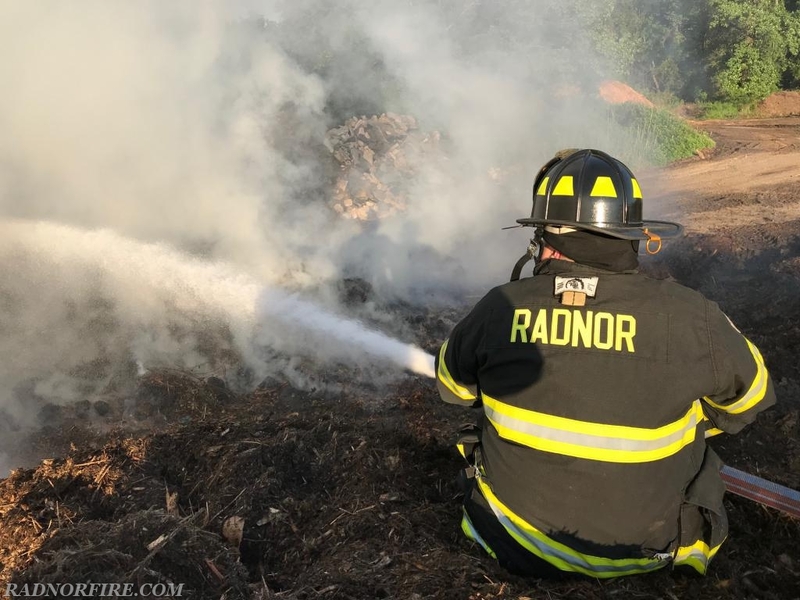 Radnor Fire Company was dispatched to a large mulch fire at Skunk Hollow Park Thursday morning following multiple reports of smoke throughout lower Radnor Township. 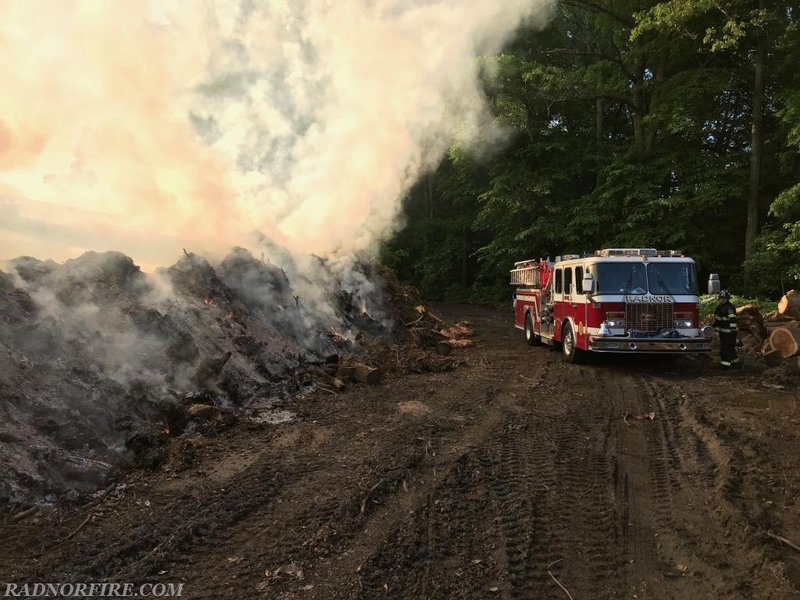 Engine 15-1, Chief 15 and a crew of firefighters arrived on scene around 6:25 a.m. to find a very large mulch pile burning. 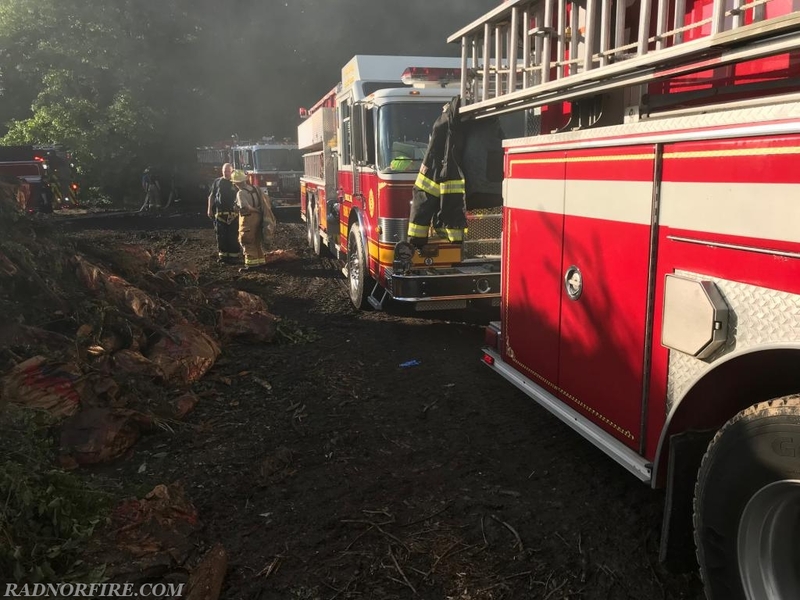 Engine 15 and Squad 15 and their crews arrived on scene shortly after 6:30 a.m. Radnor Fire Company was assisted on scene by Berwyn, Malvern and Paoli Fire Companies. 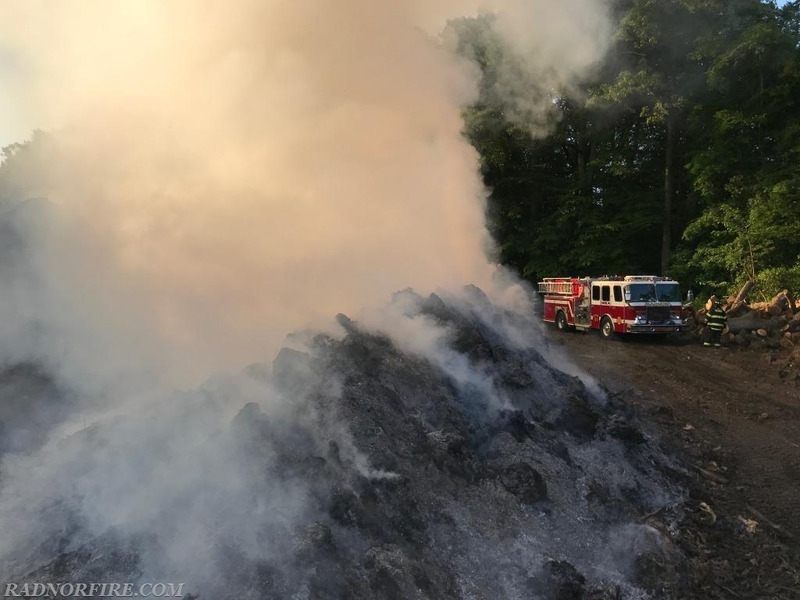 According to reports, the mulch fire was burning throughout the night and was the cause of a number of smoke investigation calls throughout several neighboring townships including Marple, Haverford, Upper Darby, Lansdowne, Drexel Hill, Springfield and Clifton. 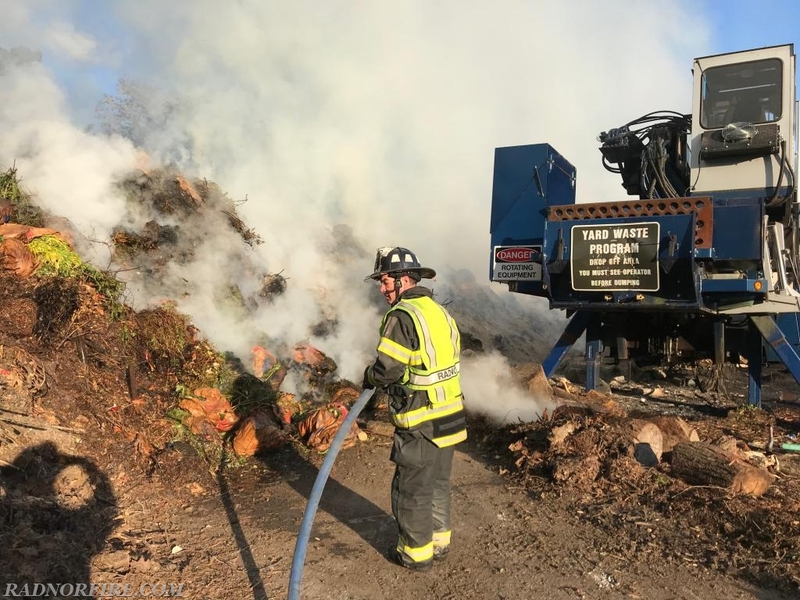 The fire was believed to have started in a tub grinder machine which breaks down tree and yard waste into mulch. 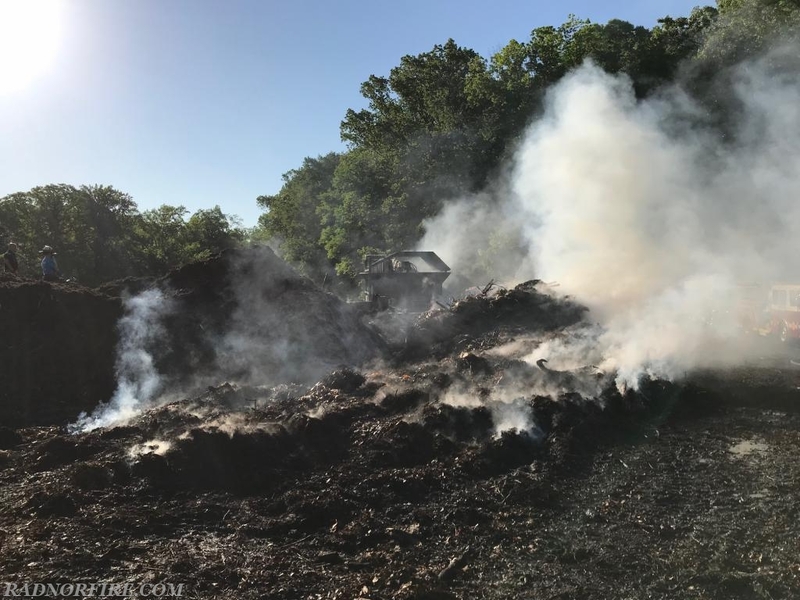 Radnor Township operates a large mulch operation at the park which borders Darby Creek and the Willows. There were no fire hydrants in the immediate area so Chief 15 requested water tankers from Malvern and Paoli. 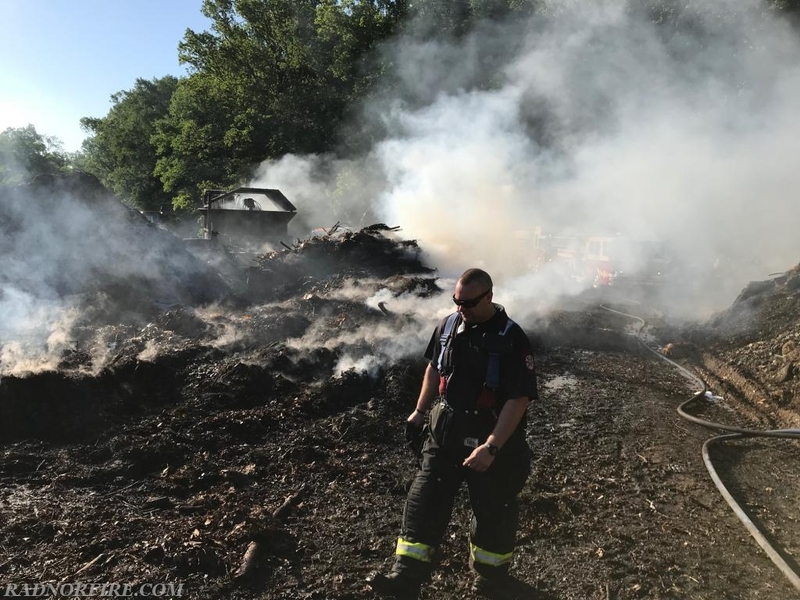 Crews worked together to shuttle water from the Inveraray neighborhood while township employees used front-end loaders to move the tub grinder and spread out the large piles of much. 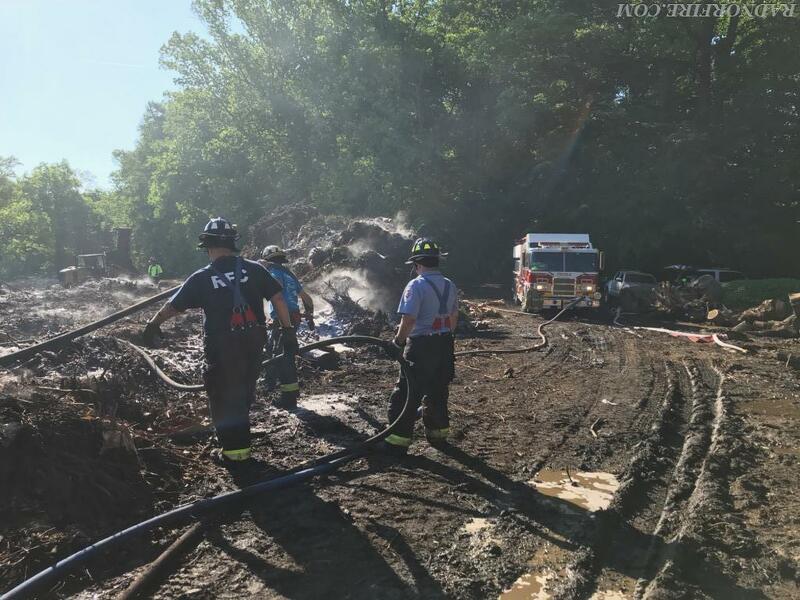 Firefighters saturated the mulch with compressed air foam and water. 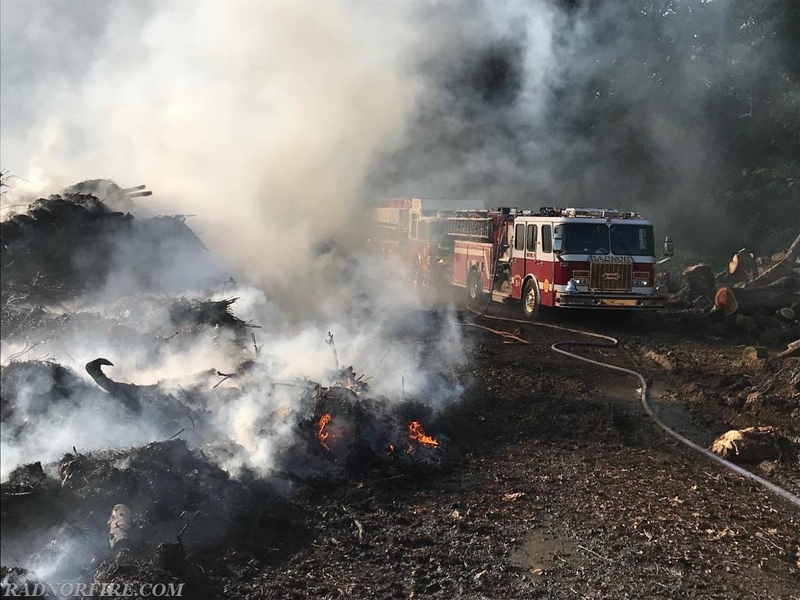 The fire was brought under control after 9 a.m. and all crews were made available by 9:15 a.m. 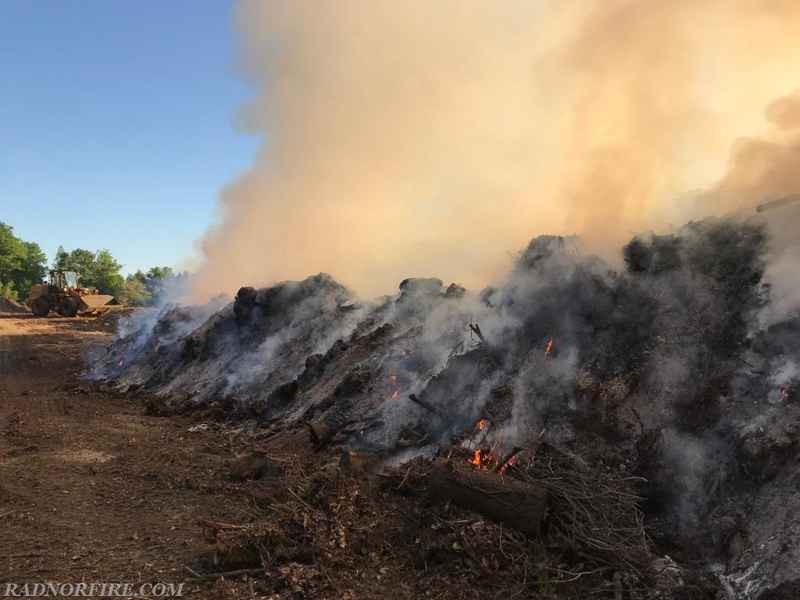 There were no injuries reported to fire personnel and the cause of the fire is under investigation. 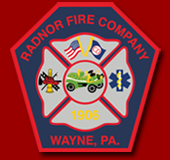 Thanks to Manoa Fire Company for covering at Radnor during this incident.